Congratulations to Kate Harding who has been named one of two visiting writers for the Cornell College Center for the Literary Arts! Be sure to check out the newest book from Sonia Shah, Pandemic. Available now! Head over to tech insider to find out which are Neil deGrasse Tyson’s top ten favorite Hollywood aliens! Shout out to the awesome social justice warrior Lateefah Simon, named one of the “Top 40 Under 40: A Force for Good” by The Chronicle of Philanthropy. Keep those trails blazing! StarTalk fans rejoice! The NatGeo show, hosted by America’s favorite astrophysicist Neil deGrasse Tyson, has officially been renewed for a third season. And in bonus news, a StarTalk book commissioned by NatGeo will be released along with the new season. Finally, equal pay crusader Lilly Ledbetter gave her ultimate interview of 2015 after presenting a talk for Kiwanis in Birmingham, AL. Thank you for fighting the good fight! That’s all for this week! Be sure to follow us on Facebook and Twitter to keep up with the latest from all of our speakers, scientists and change makers! Reporting live from Paris: Dr. Sandra Steingraber gives us a first-hand account of the Paris Climate Summit, where the enthusiasm is palpable for making change and paving the way toward renewable energy and a decarbonized future. In more movie news for this week, Dr. Neil deGrasse Tyson shares his thoughts on the realistic alternative to the new Disney Pixar movie The Good Dinosaur. What would REALLY happen if the Jurassic era continued? Finally, check out the latest thoughts from Jessica Valenti over at theguardian.com. Are college students really as coddled as we think they are? ‘Tis the season – for science! Watch Dr. Ainissa Ramirez break down the hot facts about what makes winter so cool. Holiday lights, snowflakes, and more! Practical jokester Bruce Campbell recently had fans getting excited when he shared a fake script for a crossover episode of Ash Vs. Evil Dead and The Walking Dead on Twitter. Check it out and be sure to catch Ash every Saturday on STARZ! That’s all for now! Be sure to follow us on Facebook and Twitter to keep up with the latest from all of our speakers, scientists and change makers! How do you get excited about science? Let Neil deGrasse Tyson and Bas Lansdorp, founder and CEO of Mars One show you! IFL Science spoke to the host of Emmy Award nominated StarTalk about bringing science to the forefront, igniting the flames of geekdom in all of us, and his discussion with Bas on the dream of establishing a colony on Mars. In other science news, Rinku Sen’s piece for the Huffington Post offers a unique explanation for racial tension: neuroscience. According to the article, “The last two decades of neuroscience have revealed the existence of implicit bias, an unconscious form that determines our behavior, even without instruction to discrimination…” which is why “today, we have to focus on impact if we want to create real racial equity.” Read the post and follow Rinku on Twitter for more of her insights. Finally, Ntozake Shange’s powerful poem “Sorry” was featured last week over at the Alchemist as their poem of the week. 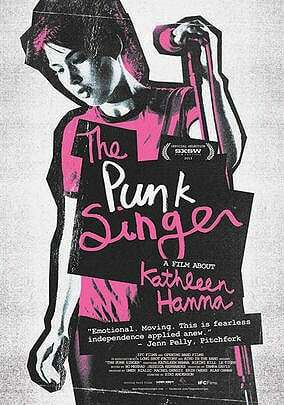 Check it out and be inspired to BE YOURSELF! That’s all for this week! Make sure you never miss out by following us on Facebook and Twitter to keep up with the latest from all of our speakers, scientists and change makers! Haven’t you always wanted to know why that age-old decision maker – the classic coin toss – is random? Let award winning scientist Dr. Ainissa Ramirez explain! Renowned author and living legend Charles Johnson invites us to take a peek at his own reading habits in an interview with Spark Magazine in their recurring series that asks authors about their lives as readers. Rolling Stone names Dr. Neil deGrasse Tyson “The Smartest Man on TV”… but you already knew that. Here he discusses how he’s using StarTalk to change the world, the new Star Wars movie, and all things science. That’s it for the week! Be sure to follow us on Facebook and Twitter to keep up with the latest from all of our speakers, scientists and change makers! Bruce Campbell stars in the new television incarnation of the cult classic Evil Dead series: Ash Vs Evil Dead. Read what he has to say before it premiers on STARZ on Halloween! Astrophysicist superstar Dr. Neil deGrasse Tyson ponders the concept of life throughout the universe, and hints at why we need to keep the search going. Jessica Valenti – the “Pioneer of modern feminism” – explains what feminism means to her and tells us how young women and girls can get involved in an interview with inforum, before speaking on Thursday at North Dakota State University. Read Jessica Valenti’s piece from The Guardian on the significance of growing up feminist in the modern technological world, as she enlightens us on how young people can inspire change through being informed. Watch Dr. Neil deGrasse Tyson describe what he considers the funniest thing about the universe – what REALLY happens to you in a black hole. Women’s rights crusader Lilly Ledbetter returned to her home state of Alabama, where she gave an inspiring speech at the University, sharing the story of her courageous journey to get her namesake Fair Pay Act passed into law. Head over to the HuffingtonPost and read Rinku Sen’s open letter to Starbucks and USA Today. National Geographic Channel’s new Late-Night Talk Show, StarTalk Hosted by Dr. Neil deGrasse Tyson, is set to premiere on Monday, April 20, at 11 PM ET. Head over to Social Venture Network and watch Gary Hirshberg discuss the best advice he never got. Check out the latest updates from our speakers! Since he was 18, Kyle Thiermann has been highlighting environmental issues at whatever surfing hotspot he’s traveling to. Now, he’ll continue that documentary trend with his own program on SEEKER, a new online adventure channel launched by Discovery. Congratulations to Dr. Edith Widder, a deep-sea explorer and conservationist, who has been selected as the 2015 recipient of the Roy Chapman Andrews Society’s Distinguished Explorer Award! That’s all for now – be sure to follow us on Facebook and Twitter to keep up with the latest! Discovery Digital Networks has added another video network to its portfolio with the launch of Seeker. Starring in one of the network’s inaugural shows — Pro-surfer Kyle Thiermann shares his passion for waves and preserving the oceans that are his playground. Head over to EcoWatch and read Dr. Sandra Steingraber’s remarks to the chief commissioner of the Federal Energy Regulatory Commissioner on behalf of “We are Seneca Lake”. Bruce Campbell has teamed up with Wizard World and Cinedigm to host a new game show for CONtv called Last Fan Standing. The first episode airs on Monday, March 9th. Dr. Neil deGrasse Tyson takes a few minutes to answer live questions from Snap Chat Users. Head over to the Hollywood Reporter for Steve Brodner’s cartoons of ‘Rejected Oscar Moments’. Dr. Neil deGrasse Tyson makes Tuvok’s cloaking frequency cake from Star Trek Voyager on the set of Nerdy Nummies. Innovation Hub has a great article on two of our favorite science evangelists, Dr. Ainissa Ramirez and Dr. Neil deGrasse Tyson! 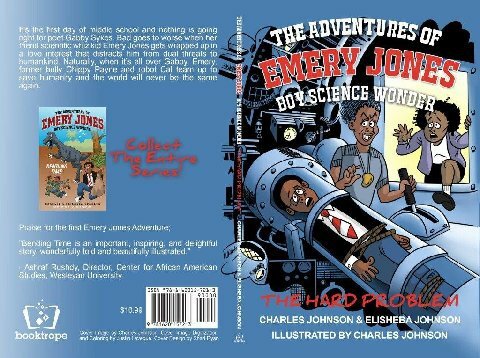 Don’t forget to check out Charles Johnson’s newest book: The Adventures of Emery Jones Boy Science Wonder – The Hard Problem, just published 2/15/2015.